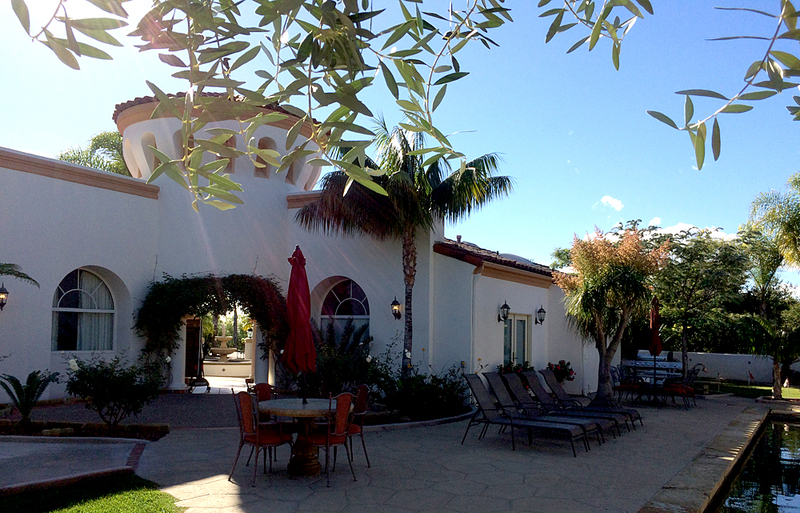 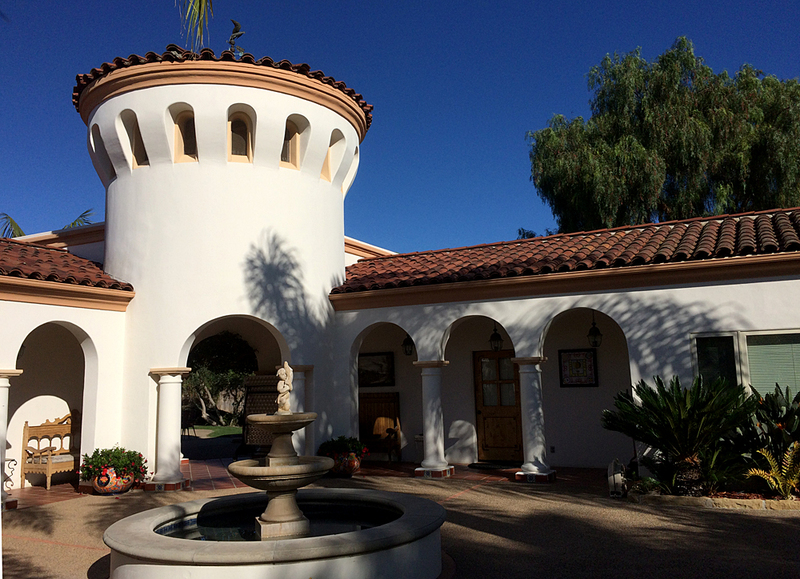 Guest House and Accessory Building in the Santa Barbara Style on Old San Marcos Road. 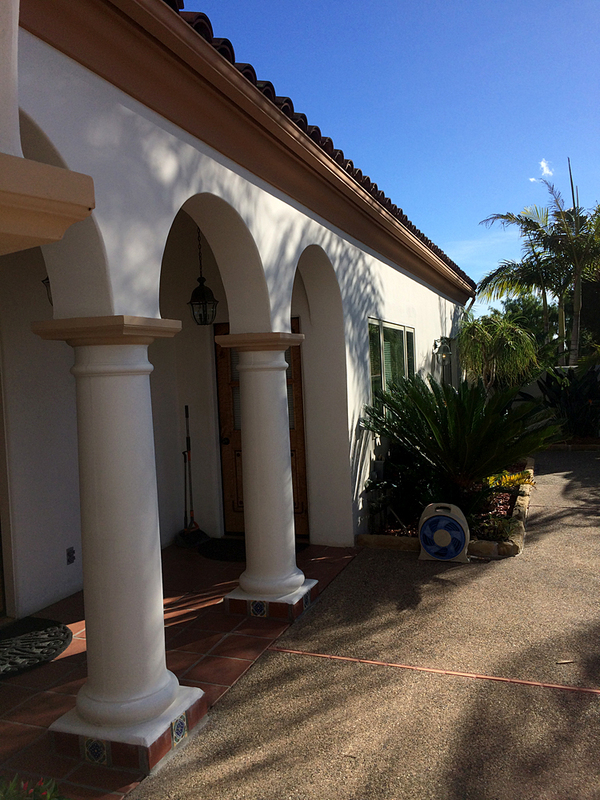 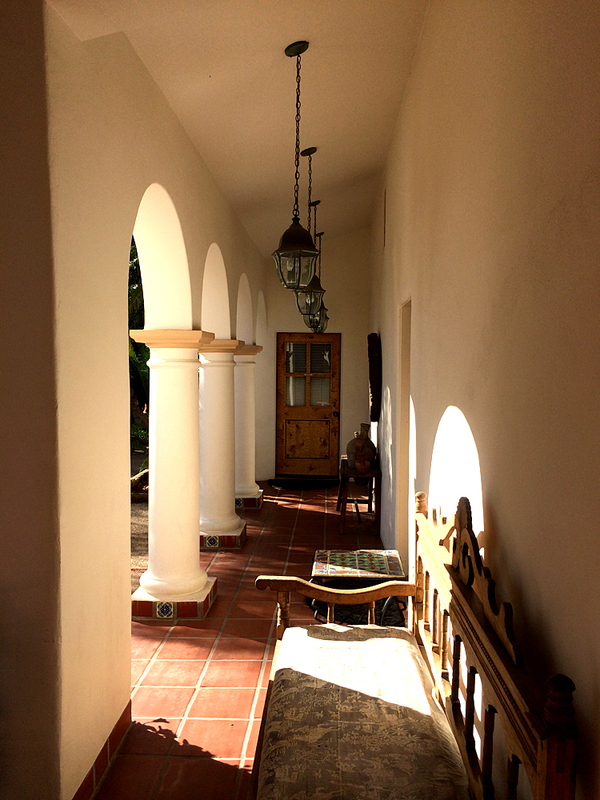 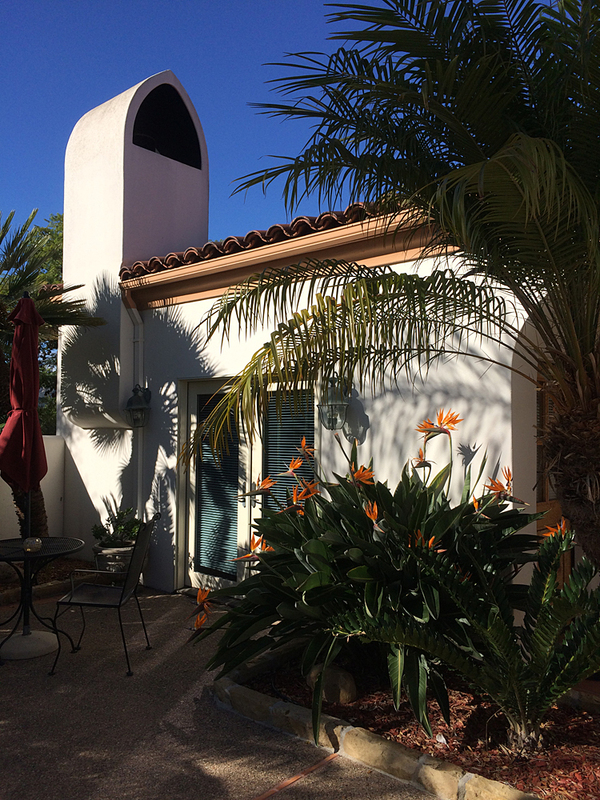 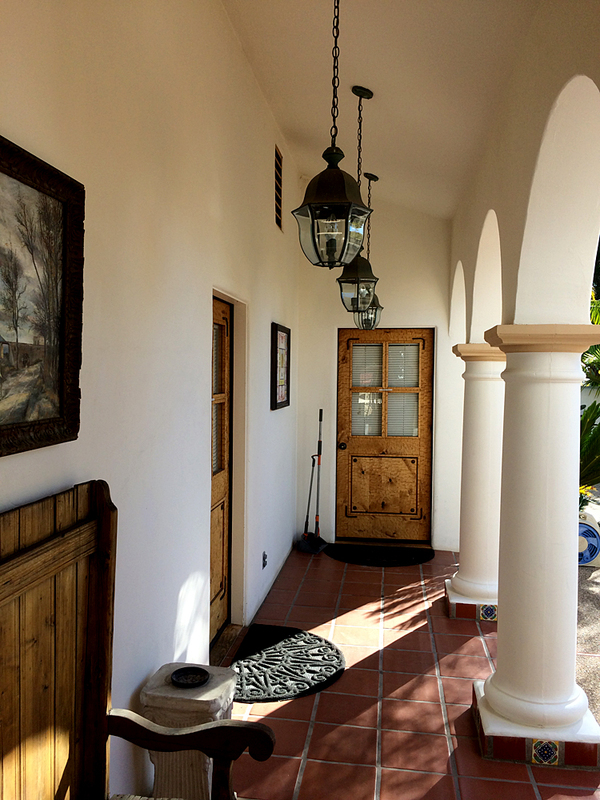 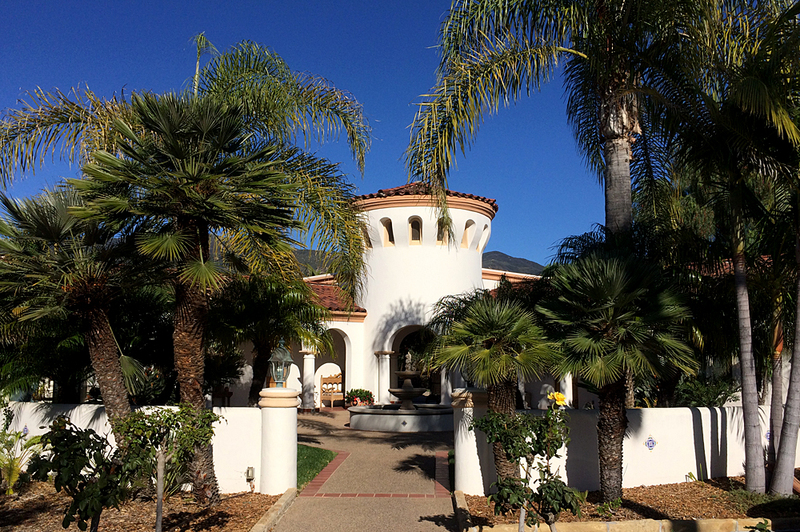 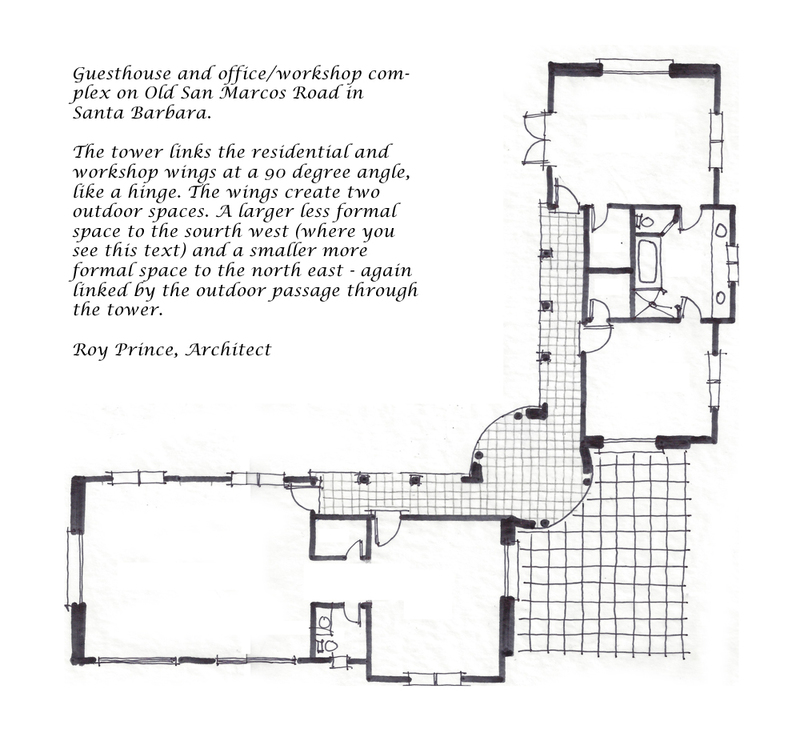 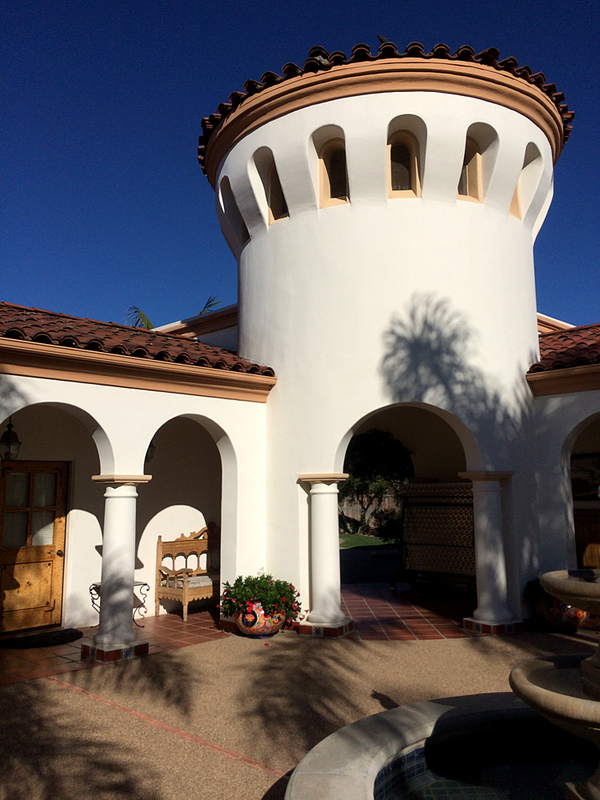 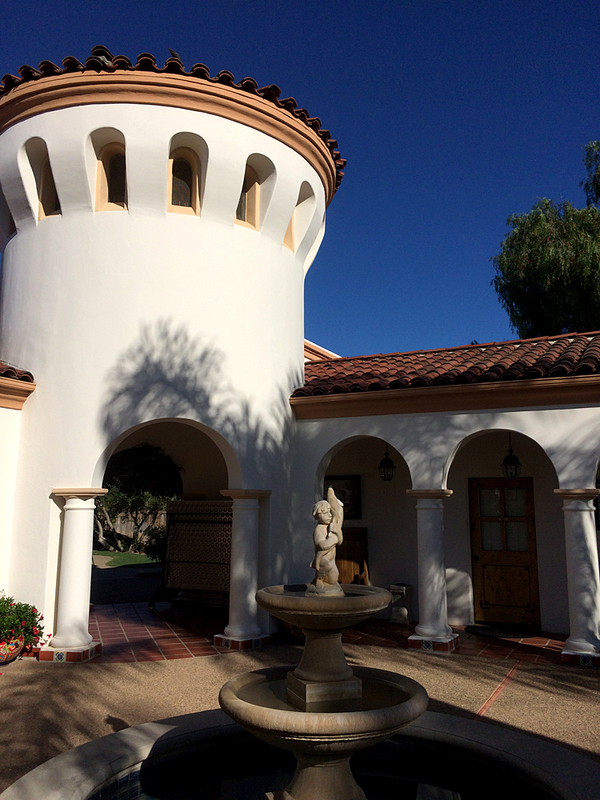 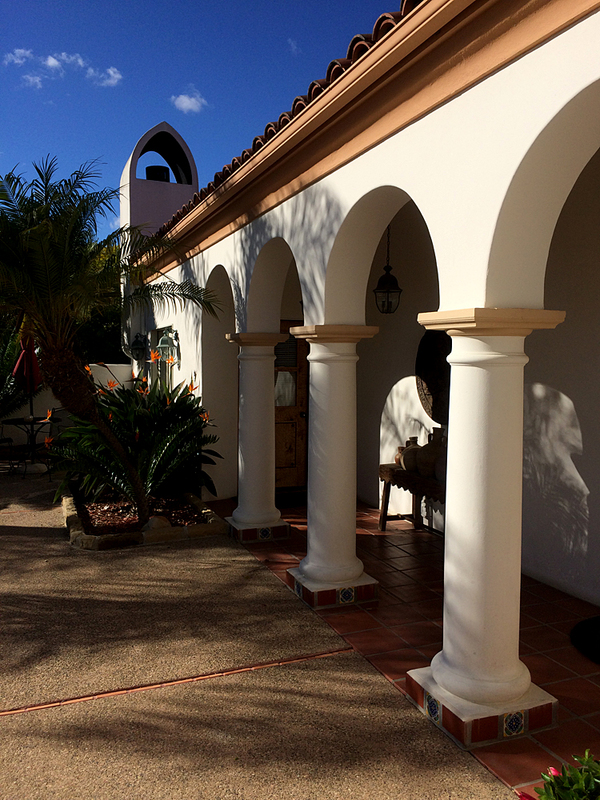 Steel troweled stucco finish, arches, columns, and a tower influenced by the Santa Barbara Courthouse. 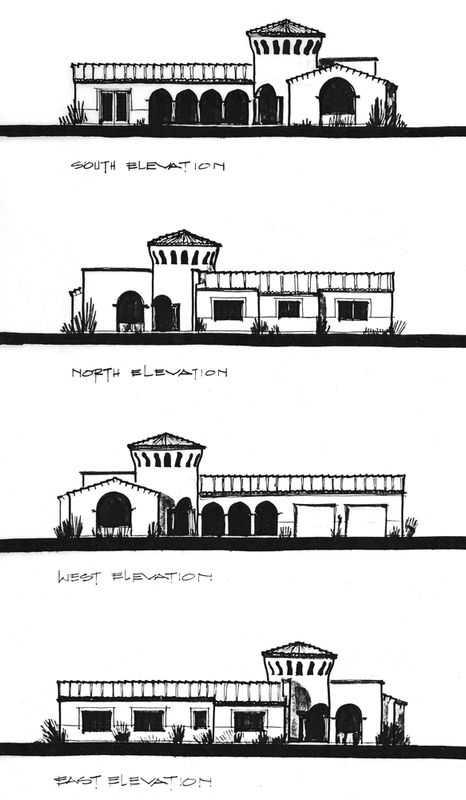 A classic axial hinge plan with design elements that break the traditional box.